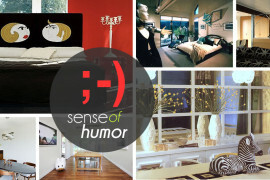 The art of interior design…or is it a science?! When it’s done well, some call it pure magic. Yet the industry’s top experts don’t elevate interior design to an unattainable level. 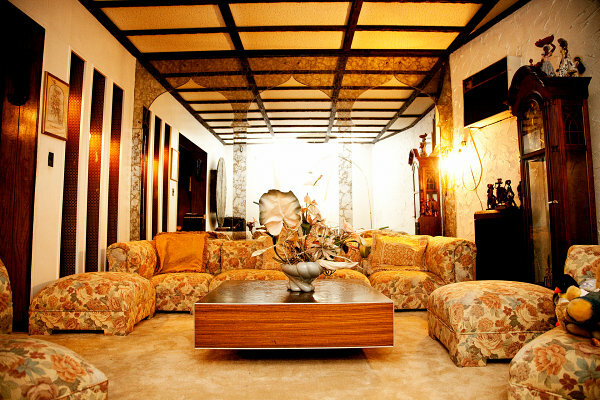 They bring it down to earth, making it accessible to everyone who has a desire to beautify their homes. In fact, we proudly feature a few of these very experts and designers in today’s post! Is it necessary to spend a lot of money to create your ideal room? Are there certain no-no’s when it comes to design? 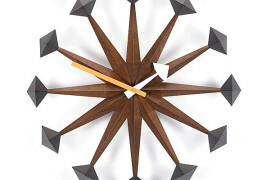 How long should you debate a design decision before making a change or purchasing a new piece? Today’s post provides some encouraging, hopeful messages that we can all apply to our interiors. 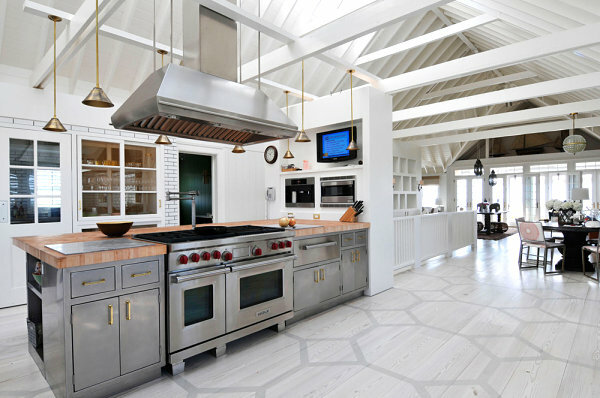 Check out the inspiring interior design tips and gorgeous images that follow. And remember — we at Decoist believe that good design is something you can achieve on any budget. The above quotes are from Berkus’ 2005 book Home Rules. 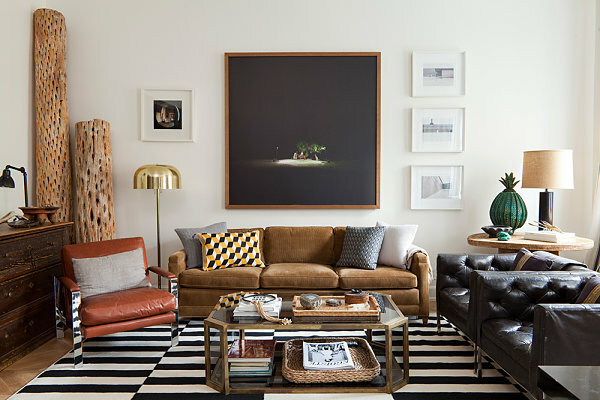 Below we see a signature Nate Berkus-designed living room that boasts everything from leather chairs and a polished lamp to an array of interesting artifacts and accents that add true character. Mixed metallics shine in this bright and airy kitchen with silver and gold details. Even culinary spaces designed by Berkus are filled with unexpected touches, such as the geometric floor and the brass fixtures. The lesson here is to use your home as a place to tell your story. 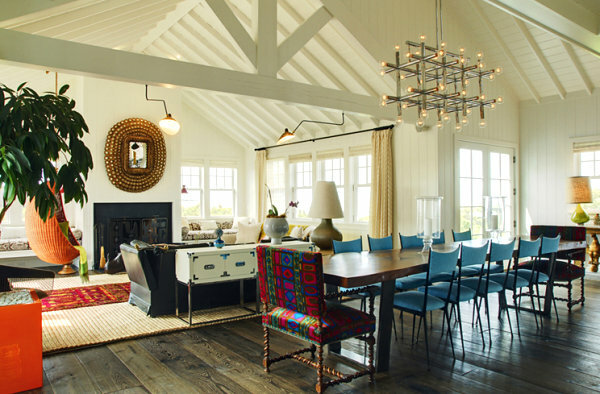 Don’t view interior design as an out-of-reach art form that only a select few can truly enjoy. Design is for everyone. 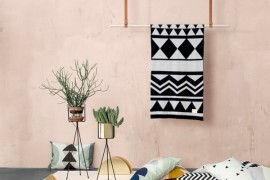 And chances are, you already have many unique pieces that are worthy of taking center stage in your home, especially if they represent your interests, quirks and passions. Emily Henderson writes with humor and authority on her design blog, where she shares her projects and covers the latest interior design trends. This stylist, designer and HGTV host is known for her use of bold colors, the stunning way she integrates plants into her interiors, and her inspiring design philosophy, which we celebrate today. 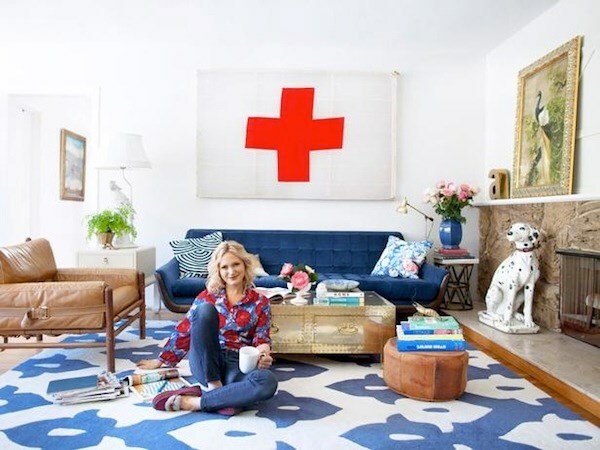 Henderson has designed the interiors of some of our favorite bloggers, including the living room of Bri Emery (of Design Love Fest), shown below. Note the use of bold colors, such as aqua, lemon yellow and fuchsia. Interesting accents and an array of plants complete this comfortable, stylish living space. 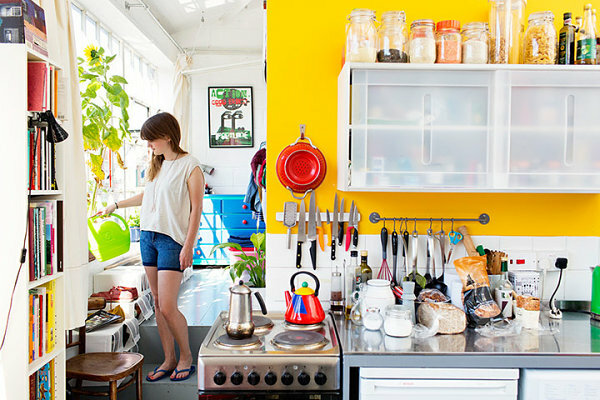 Above we see the vibrant living room of Joy Cho’s studio. 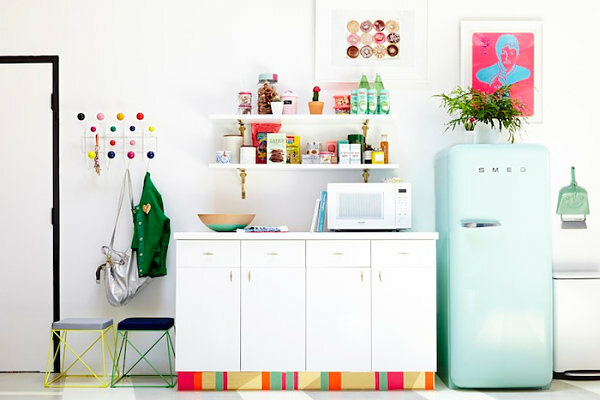 Below is the studio’s kitchen, filled with colorful statements, such as donut-themed artwork and an Eames coat rack. One of our favorite features: the colorful toe kick (that strip below the kitchen cabinets), which Henderson embellished with contact paper and tape. Are we seeing a theme here? Home should be a place of comfort and fearless personality. Let your home reflect who you truly are. 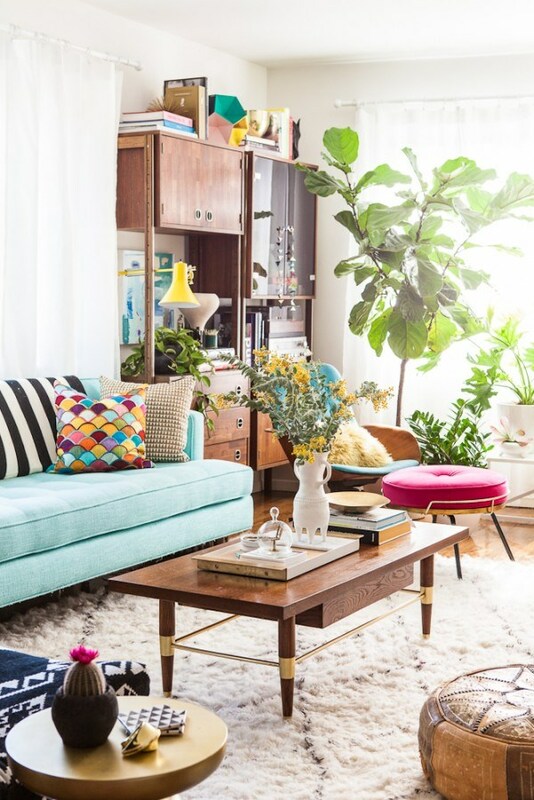 Use interesting details such as vivid colors and lush plants to express yourself and create a home haven. Potter, interior decorator, entrepreneur and TV personality Jonathan Adler puts his retro-meets-modern stamp on every room he designs. His retail stores proudly carry his innovative pieces, as do a wide array of wholesale outlets. Adler has impeccable taste, yet he doesn’t take himself too seriously. 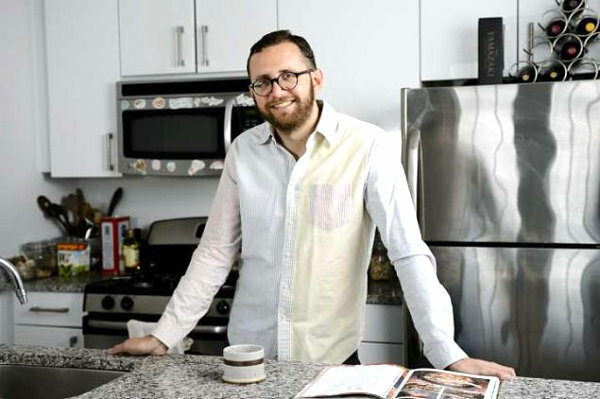 He designs with boldness and wit, and his spaces range from glossy Hollywood Regency-style rooms to earth-toned interiors with Mid-century modern flair. 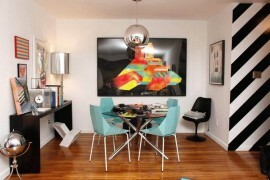 Playful elements frequently appear in Adler’s interiors, from swing chairs to geometric pillows. Not to mention, his pottery often features irreverent motifs that add a dash of stylish fun. 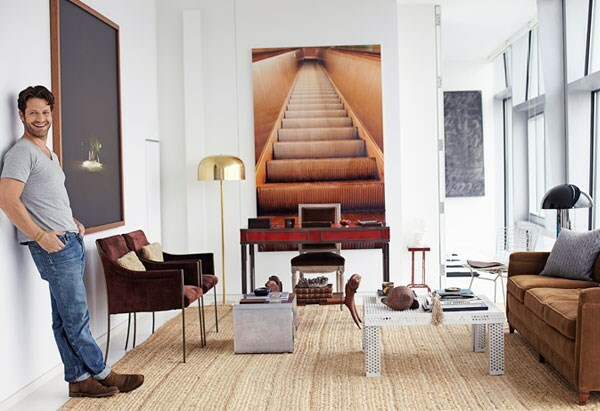 Neutral, earthy tones reign in the living room below. 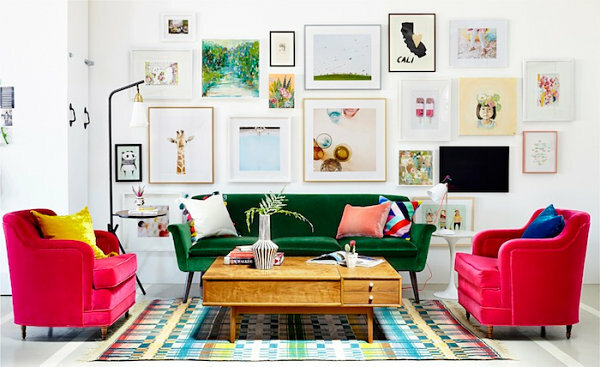 Wooden accents enhance the look, along with bold pillows and wall art with colorful touches. The effect is one of warmth and unabashed style. A metal chandelier takes center stage in this next dining room, along with an expansive table accompanied by blue chairs and statement seating at each end. Other standout features are a lacquered console behind the sofa, an eye-catching mirror, an orange bubble chair and a host of eye-catching accents, from vases to lamps. 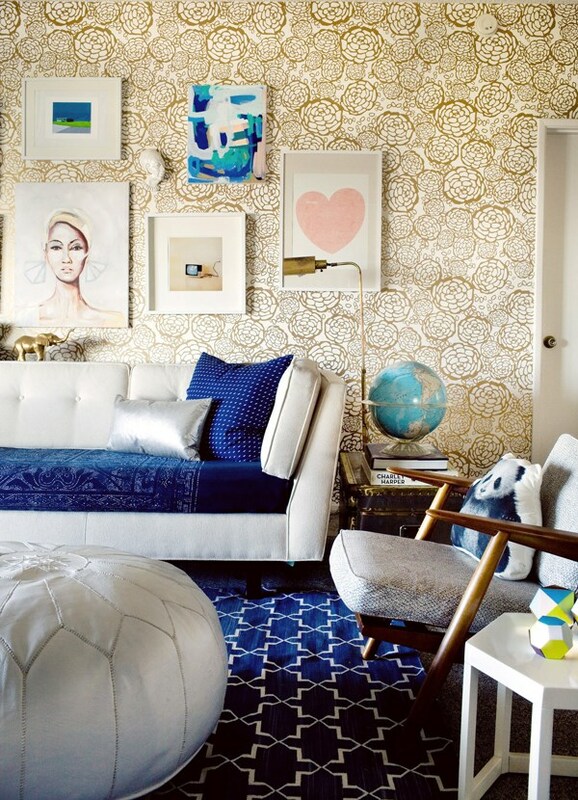 Jonathan Adler reminds us to have fun. 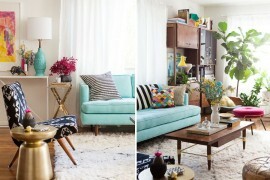 Re-envisioning the past can be rewarding, especially when colorful, shiny decor is involved. No space is too formal to feature an irreverent or an unexpected piece. In fact, it’s the unexpected that often breathes life into our interiors. Don’t be afraid to be groovy. In your own way! In this next interior, the home of curator Ambra Medda, art climbs the walls. 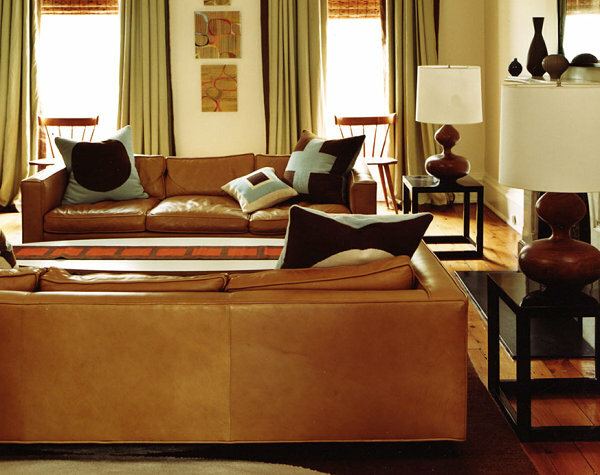 Colorful seating and a sculptural coffee table beautifully fill the space, along with a range of interesting accents. 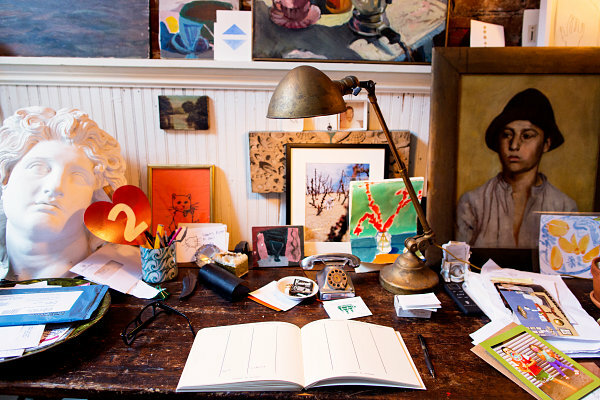 We end with a shot of a desk top in the New York home of designer John Derian. Every item on this furnishing invites us to take a closer look, from the eclectic collection of artwork to the antique accessories. 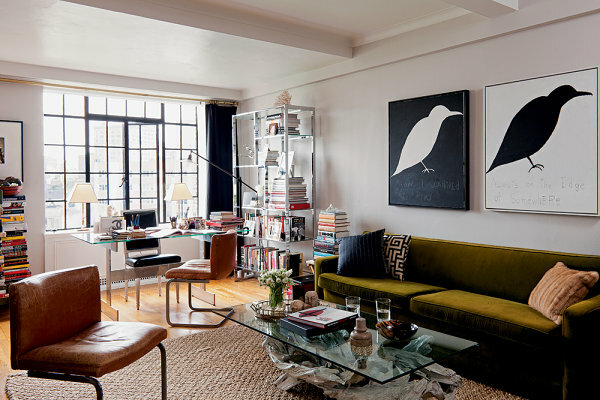 Todd Selby reminds us that homes are a quirky reflection of their inhabitants. 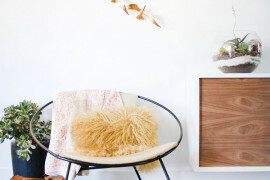 Rather than striving for perfectly arranged vignettes, it’s OK to let your space evolve, collect a little clutter and become infused with the assortment of attributes that is YOU. In fact, all of today’s featured experts advocate a design strategy that encourages each person to stay true to oneself. In fact, this liberating attitude is more important than any “rule of interior design”.